It can sometimes be tricky to find women's shoes that are stylish, comfortable and eco-friendly. 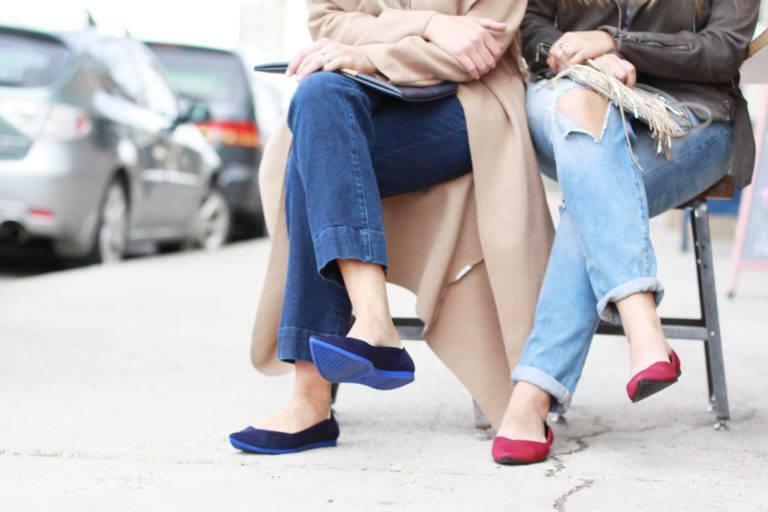 Rothy's founders, Roth Martin and Stephen Hawthornthwaite, saw the need for a practical but beautiful women’s shoe and came together to make it happen. The result was a line of sleek women's shoes that feel as comfortable as sneakers but are versatile enough for any look. In their efforts to make the perfect shoe, the founders discovered that 85 percent of the 12 billion shoes produced each year find their way to landfills. Disturbed by the amount of waste in the footwear industry, the founders focused on using only sustainable materials through an eco-friendly manufacturing process. The material chosen for these chic shoes may surprise a lot of people. The company uses yarn fiber made from post-consumer plastic water bottles. Having saved 8000,000 bottles from landfill already, these shoes are taking steps to minimize the 40 billion plastic bottles that settle in landfills each year. While most people might not associate soft shoes with plastic bottles, the fibers used are specially knit to feel silky and soft while maintaining durability and structure. In an effort to also use biodegradable materials, the sole of the shoes are made from recycled carbon free rubber. A pair of these latex free shoes weighs in at a light 9 ounces and are 100 percent vegan. In addition to the eco-friendly materials, creators wanted to emphasize an eco-conscious production process, as well. The company is able to keep manufacturing waste at a minimum with their proprietary 3D knitting process. The seamless shoe design helps create a clean and comfortable fit. To turn the plastic bottles into fiber for the machine, they first are steamed, sterilized and chipped into flakes. A moisture wicking agent is also added to the yarn to keep feet dry and comfortable. Getting caught in the rain has never been so stress free. Because of their moisture wicking properties, these shoes are easy to care for, even if they're exposed to rain or snow. The soft, but durable design is machine washable and can be air dried. Just remember to take out the biodegradable insoles before washing on a cold setting with mild detergent! The shoes are also completely recyclable once they’ve reached the end of their life cycle. The company has a take back program and partners with a recycling facility to help close the loop. The program allows customers to send back their shoes for free. Rothy’s partners, PlusFoam, who then gives the shoes a new life in the form of other eco friendly product such as yoga mats. While shipping products is still a concern for any company trying to reduce greenhouse carbon emissions, Rothy's also partners with Carbon Fund through the Carbonfree program to offset their carbon output and directly help the Amazon rainforest. To keep waste to a minimum, the packaging is both recycled and recyclable. Customers are also encouraged reuse to reuse their sturdy shipping boxes and dust bags are skipped in an effort to reduce waste.